Hi! BugDoc Dave here with our Tuesday Stretch article. I’ve been reading with interest the discussions on the nut bowls and squatty vases. 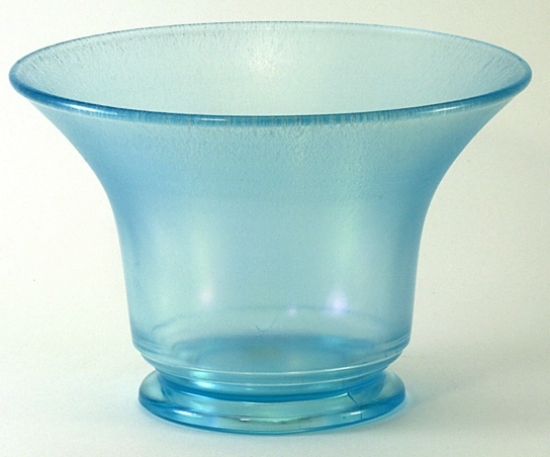 In stretch glass, we have nut cups and master nut cups (names found in catalog pages). In any case, deep bowls (which were often called “normal” by the manufacturers) exist in stretch and we also have some spade-footed bowls that appear to be made from the same molds that some of the spade-footed carnival bowls were made. 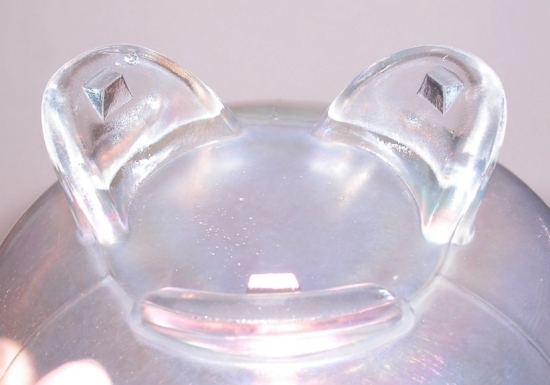 I’m going to include a couple of examples of the “normal” bowls in stretch and the known, spade-footed ones. The first one appears to be a Fenton bowl in Persian Pearl in which the bowl was formed in a three piece mold and the feet were, apparently made using a shell mold that sat under the bowl mold section. 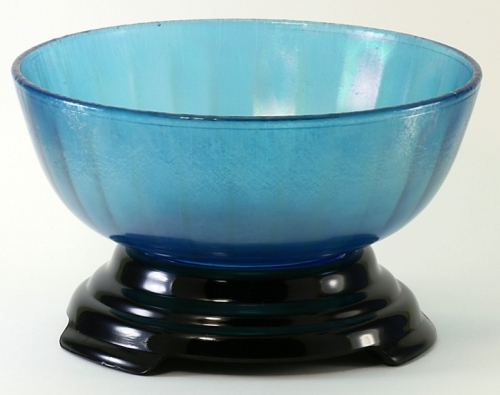 This bowl is quite rare but I’ve also seen it in Wisteria (purple). 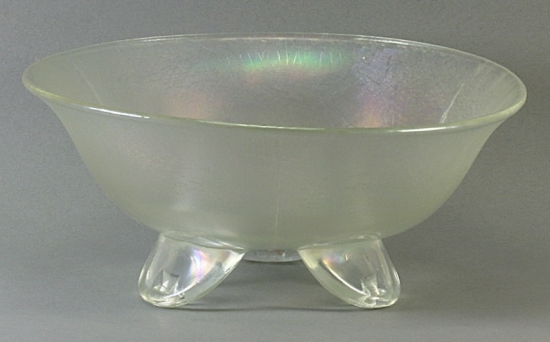 Another three-footed bowl, also made by Fenton, is occasionally found, but I’ve only seen it in the “low bowl” shape which many folks call the ice cream shape. This example is in Florentine Green and looks a lot like the #603, three-footed bowls until you look at the feet (see next image of the #603 bowl in the rose bowl shape – cupped in). 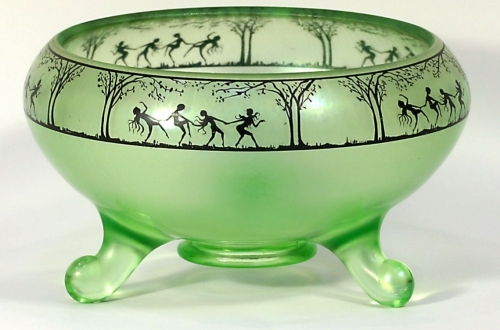 Neither Fenton nor Northwood figure any “nut bowl” shapes in the existing catalog pages. In fact, they didn’t seem to figure any bowls with straight up sides. Most of their bowls are figured with flared tops, rolled-rim tops or cupped-in tops. Only the Northwood #301 bowl is shown with non-flared (normal) sides and the 8-inch bowl is simply described as an 8-inch bowl. 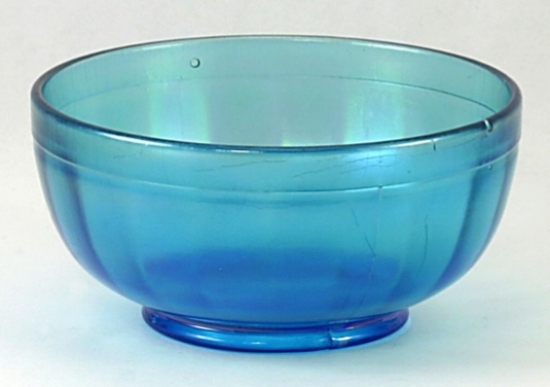 The smaller, 4-inch bowl is called a “nappy.” I’m including Blue examples of these bowls. When it comes to the “squatty” vase discussion, I would refer you to the descriptions found in one of the Imperial catalogues where they give different numbers to their swung vases. All the vases had the same base number, but then they had another number designation (1-5) that indicated the height of the swung vase. As an example, the #6921 was 5-7 inches tall, the #6922 was 7-9 inches tall, and the #6924 was 11 to 12 inches tall. 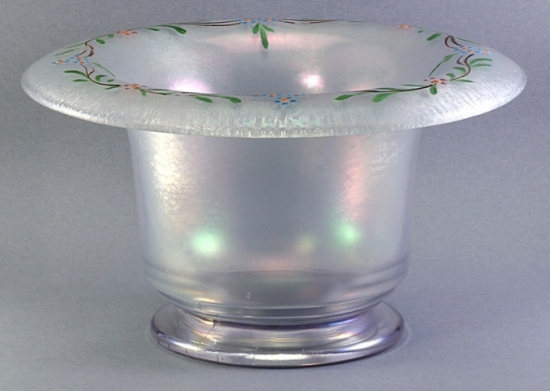 However, in the #693 line, the 6931 was called a “sweet pea” vase and was only 4 inches tall. The rest of the numbers #6932 to #6934 went up to 12 inches in height, but the #6935 was defined as being 8 to 9 inches in height but with a 7.5 inch flared top! In the image that I’ve included the two smaller diameter vases on the front right are #6921 and #6922. The next larger sizes would be the #693 base size and the ones in the back are the #694 base sizes. I’m not sure I would call any of them squatty! LOL! 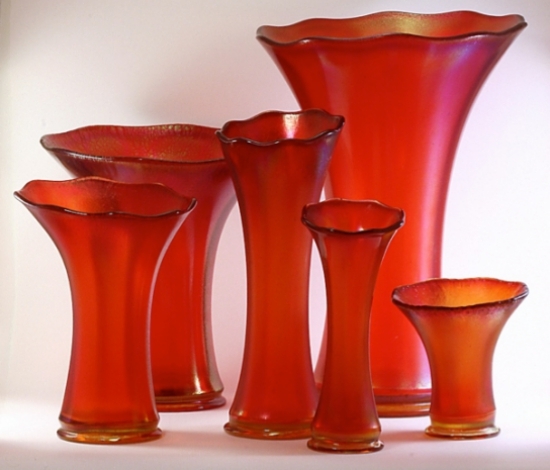 As far as I’m concerned, U.S. Glass made some true “squatty” vases, but most collectors would consider them bowls! These are the #179 vases which come in two sizes. The basic shape of these vases have wide bases but fairly short sides and I’ve never seen one of these swung. Most have flared or rolled rim tops, but a few have a flared and flattened top which is often called the “hat” shape.